Welcome to volume 2 chapter 46 of the Necrocasticon, Project Entertainment Network's podcast that blends horror and heavy metal properties with a a common connection. 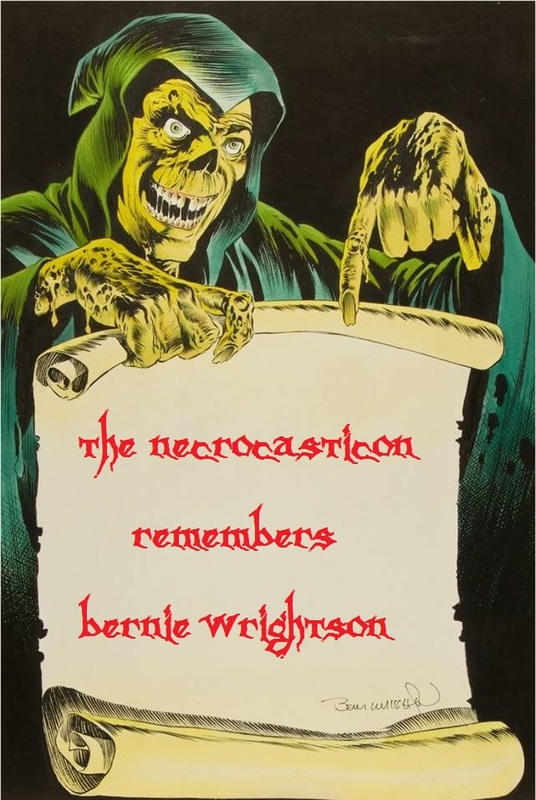 This week, your hosts, Token Tom Clark, Maxx Axe & Azriel Mordecai remember the legacy of the late Bernie Wrightson. Bernie was the epitome of horror in art and we pay our respects to a man who's talent broke barriers and influenced a generation. We've also got an interview with Charlotte Honeychurch, music director and voice actor in Gov Scoffer's upcoming animated dark fantasy film, Dagon: Troll World Chronicles. But that’s not all! Tom reviews Train to Busan, Az takes us to a wake in the mortuary and Maxx has this week week in metal and horror history for us.